Allentown/Bethlehem: Rt. 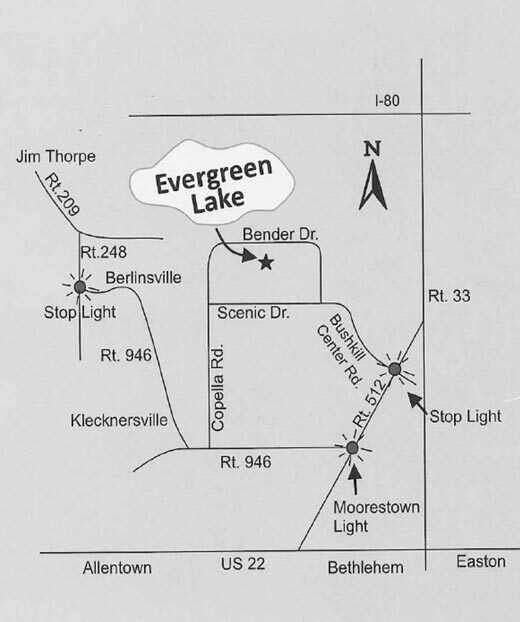 22 East to 512 N. 9 miles to Moorestown, left at light (Rt 946) ½ mile, right on to Copella Road, 2nd stop sign, turn right. Stroudsburg/Delaware Water Gap: Rt. 80 to 33 South to Wind Gap. Rt. 512 South 2 miles to stop light, right onto Bushkill Center Road, follow signs. Easton: Rt. 22 West to Rt. 512 N. 9 miles to Moorestown, left at light (Rt. 946) ½ mile, right onto Copella Road, 2nd stop sign, right. Jim Thorpe/Lower Carbon County: Rt. 248 to Berlinsville, turn left at intersection onto Rt. 987 to Klecknersville. Left onto Point Phillips Rd. left onto Copella Road, then right onto Benders Drive. 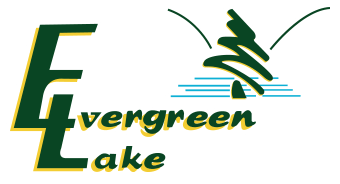 © 2015, Evergreen Lake Fishing and Camping. All Rights Reserved.